Welcome to the Homeschooler Hub - Supply Closet. We are just getting started but growing very soon. 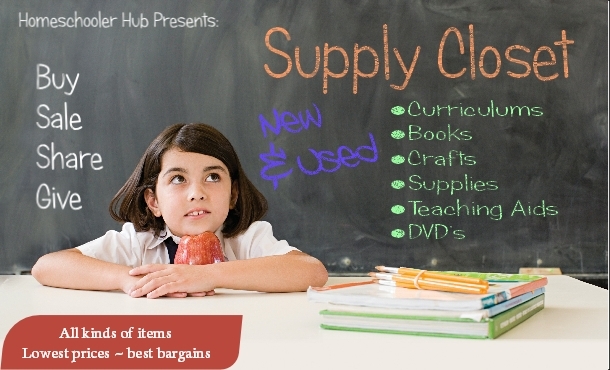 This is the place to buy and sell all your homeschool or home learning supplies! We look forward to helping you sell your items and giving you the best selection when you buy. Thank you for visiting Homeschooler Hub's Supply Closet!